Dr. Kube, co-founder of the Free Market Medical Association Illinois Chapter, opens the Healthcare Revolution Conference, which took place on August 24th. The purpose of the conference was to hear ideas from various panelists about the truths and opinions on healthcare options available in the market today. In his opening remarks, Dr. Kube shared a surprising statistic that confirms the healthcare issue is a significant problem stating that the average millennial will spend about half of their gross lifetime income on healthcare… and questions, is there a better way? 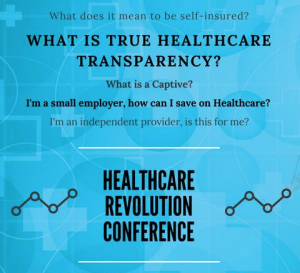 CLICK HERE to visit the Illinois Free Market Medical Association Facebook page to watch the replay videos from the conference and join the revolution… the future of healthcare.